The volume of mobile apps across various platforms is widely increasing. As of the third quarter of 2018, Android users were able to choose between 2.1 million apps while Apple’s apps store offered 2 million apps to its uses. Clearly, mobile apps have become all the rage for businesses wanting to get in touch with their customers through their mobile devices. But not all apps are created equally. Historically, mobile apps were native. This meant that users had to download apps from the devices from respective play stores in order for them to work. Native apps were made for specific platforms such as a separate mobile app for IOS and a separate one for Android. Today, however, the mobile app landscape is radically changing. More and more businesses are getting their apps deployed on the cloud with their users can then access from their web browsers. In a nutshell, cloud app development has become the norm for business owners. For those wanting to develop a business and/or customer-facing mobile application, cloud based application development might seem like a good choice. However, deploying your app on the cloud might seem like an overwhelming task when you don’t know the process inside out. Through this post, let’s explore how businesses can get their mobile apps deployed on the cloud and what are the benefits of doing so. Oftentimes, businesses that have a budget crunch satisfy their business app needs by getting an off-the-shelf solution. We can see many instances of such solutions in the market. These either have some extra features that do not apply to your business or lack some integral features that mean the world to you. For that reason, businesses that are serious about investing in their processes opt for custom mobile apps. Whether they are getting one for their enterprise or their customers, custom mobile apps can work like a charm for businesses with unique needs. These apps are built keeping the specific business, its processes, loopholes, workforce, and revenue in mind. These mobile apps have just what you need. No less and no more. With custom mobile app development, you can get a tailored solution that can plug the leakages in your processes and improve the efficiency of your enterprise. Custom mobile app development traditionally takes place natively, so that all users download apps according to their mobile OS. But, with the rise in cloud mobile apps, custom app development has shifted to the cloud. Why Cloud Mobile Apps are All the Rage? No trend comes in into the market without solid benefits. That is exactly the case here. Launch for both platforms simultaneously – Unlike native apps that need to be developed for Android and iOS separately, cloud apps can be made to work on both platforms simultaneously. This is a huge benefit because business owners can expand their reach to two platforms at the same time. They no longer have to decide between the two leading mobile OS, as to which goes first. There are plenty of reasons why a business app should be developed for iOS as well, even though Android might cover a majority of your market. Understand your target audience, but don’t compromise on your reach with cloud apps development. Save money and time – Building a native Android app and then an iOS app might take a long time. Similarly, you might have to shell out a lot in development costs if you want to launch your iOS and Android app at the same time. Cloud apps appeal to businesses and organizations as they allow savings on time and costs both. For start-ups working on a tight budget, cloud apps can be the best strategy to reach a wide audience cost-effectively. Not only can you save on the development time and costs, but you can also reduce maintenance costs with cloud application development. The cloud has lesser risks – The cloud infrastructure, in its unique manner, reduces risks for business owners. The cloud has more redundancies, for example, multiple server locations and data replicated and stored across geographical locations. Compared with traditional on-premise hosting, cloud apps reduce the risk of data loss with custom mobile apps. A recent report from Gartner noted that the security challenges associated with cloud exist only because of missteps on the part of users. Gartner even predicted that a whopping 95 percent of cloud security breaches through 2022 would occur because of errors on the users’ part. Host custom apps on the cloud because the cloud is increasingly getting tighter with security controls. Cloud gives all mobility’s benefits – The gap between desktop and mobile is increasingly narrowing. Today, both business employees and customers need a mobile app that can work on any device from anywhere. The cloud offers them this opportunity with cloud mobile app development. These kinds of applications best support the needs of users and are, therefore, getting so much traction in the market. When cloud mobile app development combines with agile methodology, the combination gets even more brutal. Combining agile methodology with cloud for mobile apps results in a powerful phenomenon for custom mobile apps. Specialization for competitive advantage – Since custom mobile app development can focus on highly specific functions within a business, deploying these apps to the cloud can give you the ultimate edge over competitors. Custom apps are way more effective for any business than widely and generally available SaaS solutions which can only be customized to a limit. Access your unique app from anywhere and any device and leverage cost-efficiency. Provide exceptional user experience – Cloud apps don’t need to be downloaded and installed on any device to work. They can simply be accessed through web browsers. However, the only way for a native mobile app to work is through installation. Therefore, the components in a mobile app have to be tailored to each mobile OS platform specifically. Moreover, native apps need to follow their app stores’ guidelines for companies to publish them in these stores for wider access. Since cloud apps interact with the cloud directly to fetch data, they run smoothly and offer a seamless user experience. Scale up and down with ease – Cloud application development provides you the flexibility to scale up and down when needed. A mobile app is not a one-off project but needs continuous improvements and modifications. When you are ready to grow your company and scale out, a cloud-based mobile application will help you do so seamlessly. Moreover, you might not have a complete features list at the start of the project. This means, as time passes, you would want to include features in your app and improve its functionalities. A cloud mobile app can help you do that. 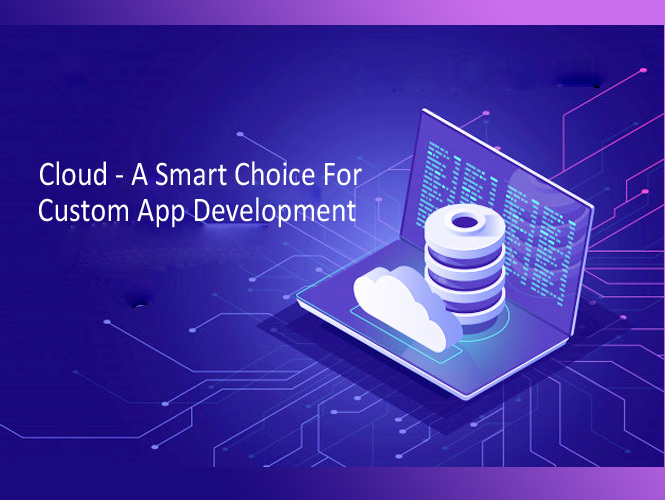 With these and many more benefits of deploying your custom mobile app on the cloud, we are sure you are convinced of the popularity of this trend. Workflows are moving to the cloud, and this is the best time to future-proof your mobile app by deploying it to the cloud and leveraging the benefits that come as a result. If you are looking for a cost-effective alternative to developing your own native mobile app, cloud apps might be the answer for you. Native app development is costly and takes longer in development than a cloud app. It is also easier to integrate databases with a cloud app than it is with an installed mobile app. Weigh in the pros and analyze your unique needs before coming to a conclusion. Do you want someone to build your mobile app for you? We suggest you look for a company with the right talent on their team. CDN Solutions Group is one such IT pioneer who innovate and ideate on the latest solutions. We have taken challenges head-first in industries such as Healthcare, Retail, Consumer, Start-ups, and many more. With a rich experience of almost two decades, we have witnessed the ups and downs in the IT market and have evolved to help more and more businesses with their transformation journey. Improve customer engagement, build a following, improve workplace productivity, or achieve just any goal with the right custom web or mobile app. We have the resources to make the process of development, designing, and deployment look like a cakewalk to you. But, we promise you, it inherently is not that simple. We offer round-the-clock maintenance and support services and take on any stress you might have because of a tiny glitch in your application, even long after we have successfully deployed it at your end. Looking for a reliable cloud apps development partner? Reach out and give us a chance to optimize your key KPIs for you through a working, efficient mobile app.